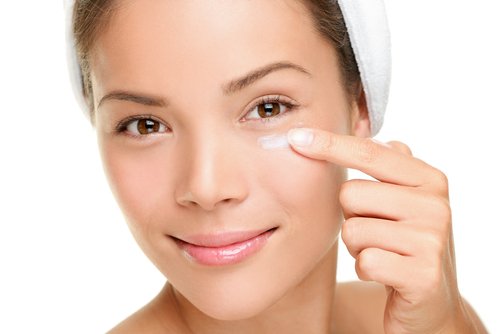 Whether we like it or not, wrinkles are part of the natural aging process. There are genetic and environmental factors that will determine how many and how prevalent your wrinkles may become. Luckily, there is a whole industry, of which OROGOLD is a part of, looking for ways to reduce wrinkles, and preventing them from appearing in the first place. Wrinkles can range in appearance, from fine lines that only surface when you smile to larger folds in the skin. We have given nicknames to some common wrinkles. Crow’s Feet- Also referred to as “laugh lines” and “character lines.” These cute nicknames are all naming the same thing: the lines that form on the outside corner of your eyes. These are some of the first wrinkles to appear in the majority of the population since they are primarily caused by the repetitive action of the muscles. Every time you smile, frown, laugh, and squint, you activate these muscles. As our skin ages, it decreases the production of collagen and elastin. What is collagen and elastin? They give skin its elastic like properties. Without collagen, when the skin stretches instead of stretching and bouncing right back, it stretches and stays there. You could try to stop making facial expressions in an attempt to avoid crow’s feet, but you are better off using a product like OROGOLD eye serum which applies collagen producing Vitamin C right where you need it. You can also protect skin from dangerous free radicals by always applying sunscreen and OROGOLD moisturizing day cream and avoiding cigarette smoke. Venus’s Rings- This is the name given to the wrinkles formed around the neck. When you combine the effects of aging and the effects of gravity, neck wrinkles can happen. These horizontal wrinkles can begin forming on someone as early as their late twenties and is most prevalent in individuals exposed to extreme weather. Vertical lines on the neck are usually a result of sun exposure. Forehead Wrinkles- Sorry, no cute name for this one. They can be both horizontal and vertical. The vertical is usually found between eyebrows, whereas the horizontal is found across the entire forehead. Sun, gravity, and aging all play a role in their creations, as do the facial expressions you make everyday. Research has found that individuals who squint or work in high pressure jobs develop deeper forehead wrinkles. OROGOLD products can go a long way in reducing their appearance. Smokers Face- This term is not for a specific wrinkle, but for a set of wrinkles and skin conditions associated with smoking. Smoking dehydrates the skin and destroys collagen, this leads to wrinkles forming earlier and deeper than their nonsmoking counterparts. Prominent wrinkles of “smoker’s face” include lines that extend out around the mouth, caused by the repeated puckering of the mouth. The skin also thins and takes on a dull yellow or grey color. Thank You! Thank you! Thank you! This was the exact article I was looking for!